Welcome to JK Digital Solutions Birmingham Web Designers. We are professional Birmingham web designers who specialise in giving small businesses a professional presence on the internet within any budget. We guide you through every step of the website design process to ensure it is completely stress free. In fact we are so confident that you'll be impressed with our website design services, if you are not 100% happy we won't charge you a penny. 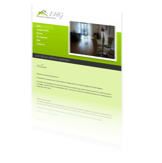 Although based in Birmingham, we undertake website design work throughout the UK. We pride ourselves on our high standards and unrivalled customer service. Whether you require a new website design or an existing website redesigned to meet today's ever increasing standards, we are on hand to offer help and advice. Our site is has been designed to offer a wealth of information about the website design process. Please feel free to have a good look through and if you have any questions just drop us an email and we'll get back to you as soon as possible. Below are a few examples of website design work we have recently completed. 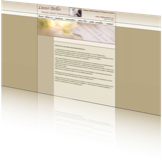 Below each screen shot is a brief description of the website and the website design process. This PHP website design was made for the Inherited Metabolic department of Birmingham Children's Hospital. They asked their website design to be bright and colourful to attract patients to the website but also education for professional use. 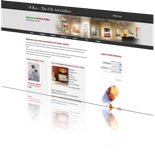 This database driven website design works as both an online art gallery and an online shop. 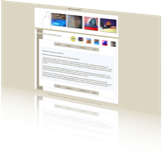 The website design proposal was to create a contemporary looking website whilst keeping user functionality. A complex database driven website design giving complete details on pubs, restaurants, hotels and attractions in and around the Birmingham area. Get a Quote Like this website design? This website design was a proud achievement for us. The wellington is a specialist real ale pub offering 15 ever changing ales at any one time. They use a flat screen TV in the pub to display which beers are currently on sale. 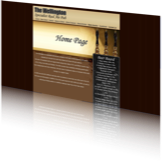 Our website design also lists the exact same list of ales in real time meaning as the TV is updated so is the website. A clean website design to display rental properties available across the UK. 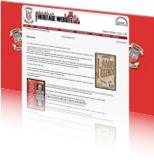 A database driven website design created to display statistics and media from 75 years of Tamworth FC history. 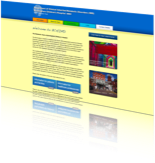 The website design proposal was to make the site accessible and functional due to the sheer volume of data displayed. Lusso Bello asked for a "romantic" classic website design to match their handcrafted wedding stationery. This site is a great example of how a good website design can reflect the quality of your products. 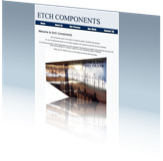 Etch components came to us requesting a brouchure website design to exhibit their metal etching services and past work. A Simple eccomerce website design. Cyrus Art and Print came to us with a very tight budget. 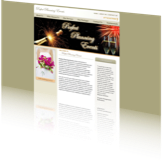 This website design is a perfect example of how we can create a visually appealing and functional site on a budget. So you have a brand spanking new website design and are ready to show it off to the world. Unfortunately simply having a great website design doesn't guarantee success- people have to be able to find your site. How can people find your site? Search Engines. Websites listed near the top of the search results like Google and Yahoo have a great chance of success. We have proven search engine optimisation techniques that drive websites to the top of the search results. Top listings deliver highly targeted searchers to your website for the products and services that you offer. Test out our SEO techniques with our site, search 'Birmingham web designers' on google.co.uk, yahoo.co.uk, altavista.co.uk, lycos.co.uk and ask.com- WE ARE RANKED NUMBER 1! Also note we never pay for sponsored rankings. All our results come from natural SEO techniques. Don't believe us? Click the link below to see for yourself. Alternatively if it's easier, simply view the screen shots below (screenshots open in a new window). To find out more about our website marketing techniques and how they can help your website, take a look at our website marketing page.